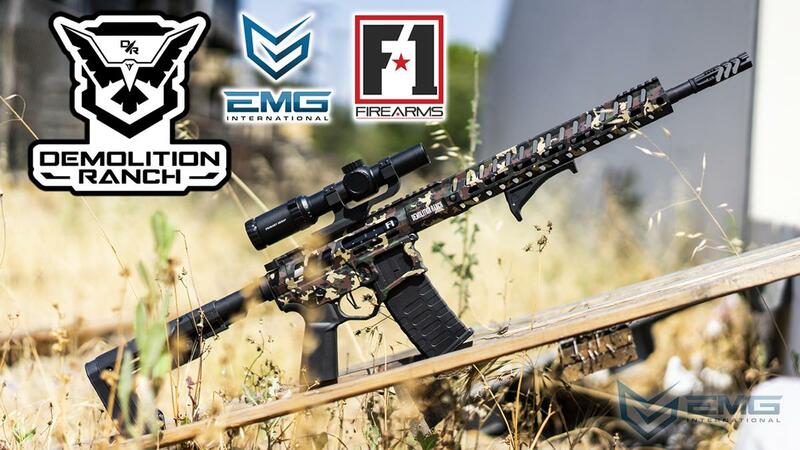 Team EMG is proud to announce this special collaboration with F1 Firearms and Demolition Ranch to bring you the Demolition Ranch AR-15! 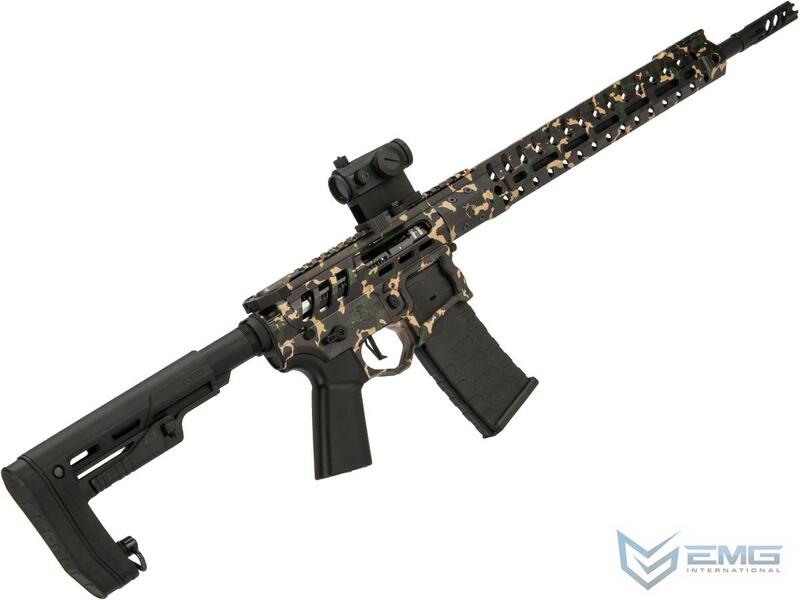 The Demolition Ranch AR-15 is a special edition rifle in the real shooting world engineered and spec'd out to perfection by the elite engineers at F-1 Firearms and Matt himself. 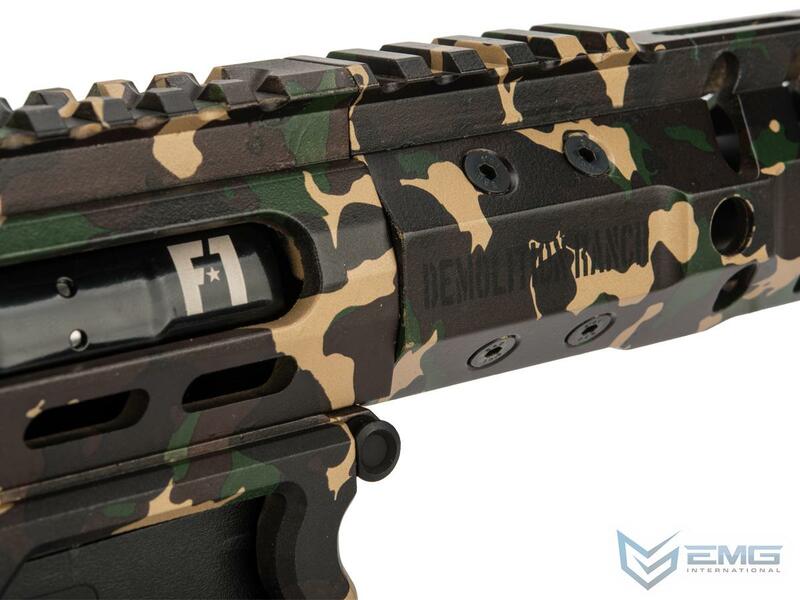 Fully licensed featuring authentic F1 and Demolition Ranch engravings, this EMG airsoft parallel training rifle is a stunning recreation of the real firearm this was based on. 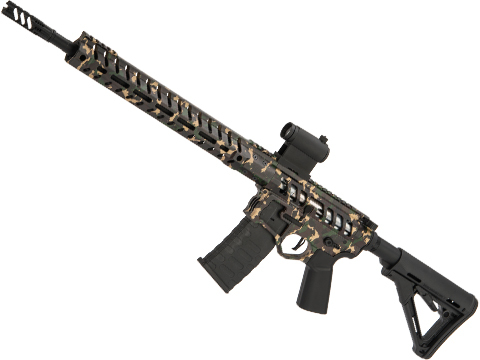 Built to specifications provided by F1, the UDR-15 features newly designed skeletonizing with enhanced aesthetics. Equally at home on the field or in a competition, the UDR-15's high-efficiency gearbox provides superior performance in all settings. 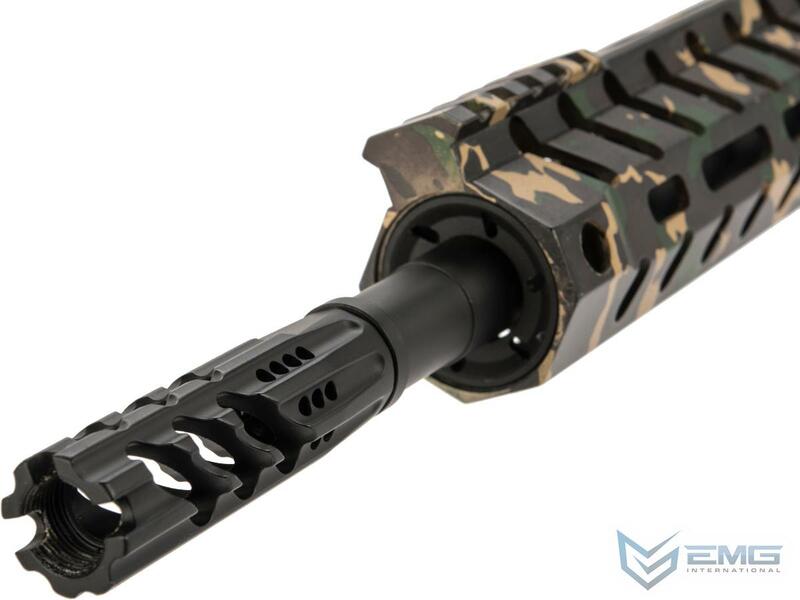 The Silver Edge Gearbox powering this rifle has been polished and tuned to reduce friction on all moving parts granting greater performance, lower wear, and lower current draw resulting in higher battery efficiency. The electric blowback feature of the Silver Edge Gearbox can be easily disabled to function like a traditional Ver.2 gearbox. Additionally the internals of the Silver Edge Gearbox are 100% compatible with standard Ver.2 parts for greater upgrade potential. 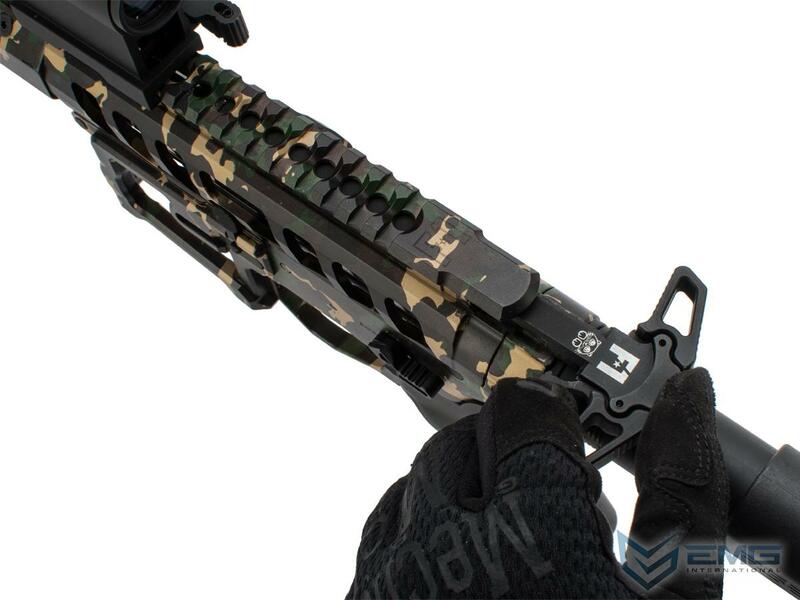 From the skeletonized receiver to the MLOK compatible H7M handguard, the EMG UDR-15 is a faithful recreation of F1's AR15 line. 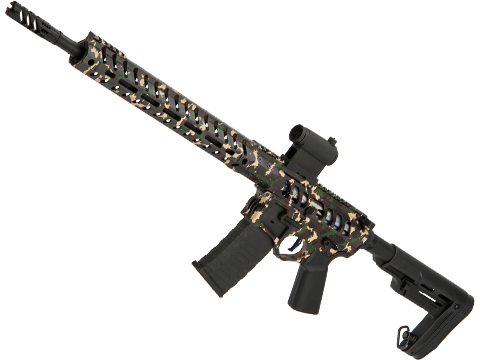 Based in the great state of Texas, F-1 Firearms has become one of the premier brands in semi-automatic sporting rifles. 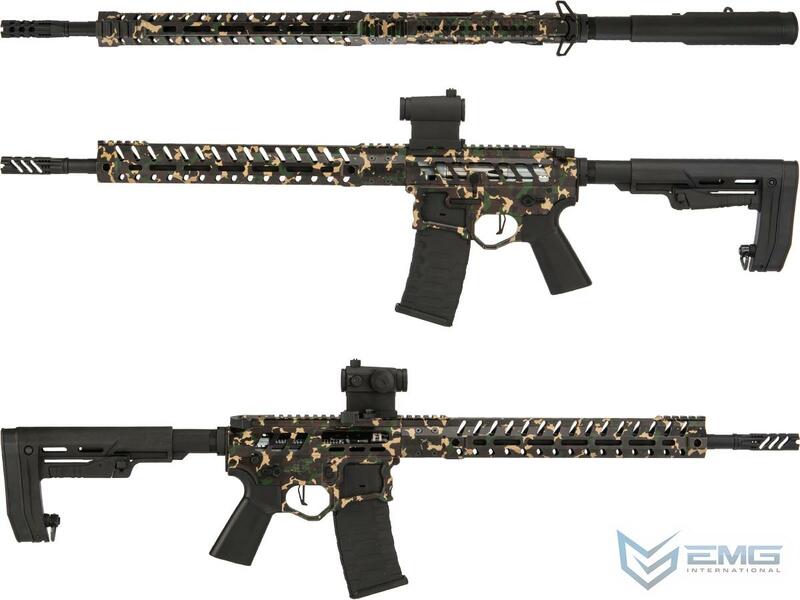 Utilizing premium materials and cutting-edge manufacturing processes, F1 produces firearms that are lighter, stronger, more accurate and built to more demanding tolerances than their competition. 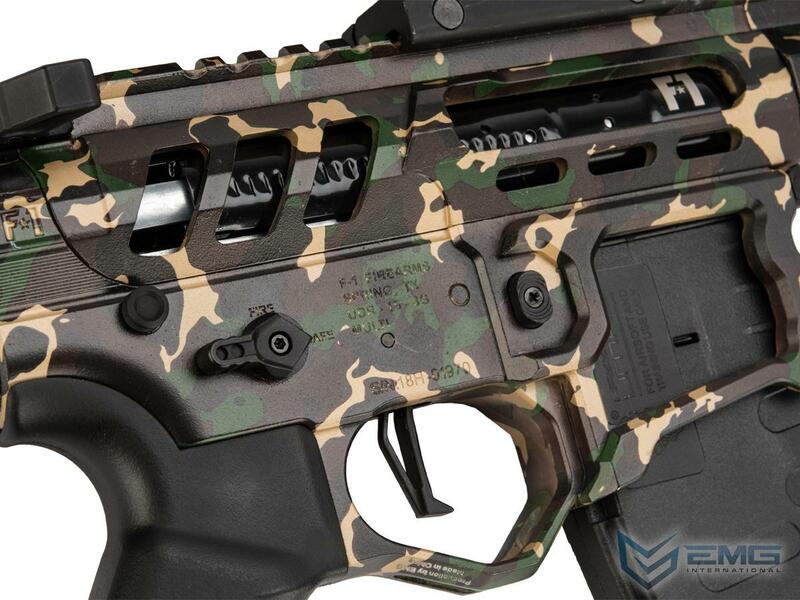 F-1 Firearms are designed to stand out from the crowd, with an F1 rifle, not only will you look better than the rest, you'll shoot better than the rest. Disclaimer / Warranty: By purchasing this item, you will have read, agreed, verified and acknowledged to all the following conditions: You are at least 18 years of age. Your purchase complies with your local laws and regulations with respect to ownership of Airsoft replicas. You assume full responsibility of all liabilities, damages, injuries, and modifications done to product. You will not hold Demolition Ranch, F-1 Firearms, and Evike.com Inc., their owners, affiliates or employees responsible for any legal actions, liabilities, damages, penalties, claims, or other obligations caused by your ownership of Airsoft replicas. All Airsoft replicas are sold with a bright orange tip to comply with federal law and regulations. Buyer will agree to practice basic Airsoft safety as followed: Eye protection must be worn at all times, never brandish the product in public, batteries must be unplugged after usage, and the rifle must be cleared of BBs in the chamber after use. Please contact Evike.com directly if you need help with your product at sales@evike.com and (626) 286-0360.